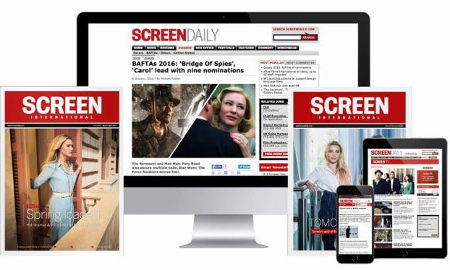 Exclusive Media and Cross Creek Pictures have formalised their relationship with a three-year deal to jointly finance, produce and develop at least two features a year budgeted up to $65m. The films are guaranteed US distribution through Universal pursuant to Cross Creek’s distribution with the studio. First to go in February 2013 in New York will be Lawrence Block crime adaptation A Walk Among The Tombstones starring Liam Neeson as a haunted private eye hunting kidnappers. Exclusive Media will retain international sales rights on the slate and will introduce Tombstones here. The deal follows previous collaborations between Exclusive and Cross Creek on upcoming drama Rush – which will go through Universal – as well as UK horror hit The Woman In Black and The Ides Of March. The arrangement grants the partners first right to co-finance and co-produce projects outside those set for the Universal pipeline. In addition the partners are establishing a six-figure revolving development fund to source extra properties. Exclusive Media COO Marc Schipper negotiated the development and production deal with Cross Creek’s Brian Oliver. Exclusive Media president of worldwide production and acquisitions Tobin Armbrust will oversee the new relationship. “We have long enjoyed a fulfilling business partnership with Brian and his team at Cross Creek, creating success with The Ides Of March, The Woman In Black and now Rush, among others,” Exclusive Media co-chairmen Nigel Sinclair and Guy East said. Double Feature Films is producing A Walk Among The Tombstones with Danny DeVito and his company Jersey Films.